Upon hearing this work, it is astonishing to recall that the young Arvo Pärt was Estonia’s enfant terrible¸who produced the country’s first 12-tone composition in 1960. 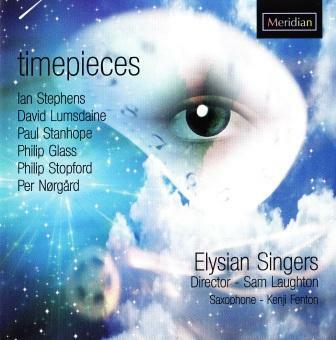 But after a soul-searching transition during which he made an intense study of medieval music, he began a new phase of composition in the late 1970s. Since that time he has developed what he calls a ‘tintinnabulist’ style, described thus: ‘Tintinnabulation is an area I sometimes wander into when I am searching for answers – in my life, my music, my work. In my dark hours, I have the certain feeling that everything outside this one thing has no meaning … Here I am alone with silence. I have discovered that it is enough when a single note is beautifully played. This one note, or a moment of silence comforts me. I work with very few elements – with one voice, with two voices. I build with the most primitive materials – with the triad, with one specific tonality. The three notes of a triads are like bells.’ In 1982 Pärt moved to Berlin, where this work was commissioned by RIAS (Radio in the American Sector) on the occasion of the 40th anniversary of the RIAS Chamber Choir in 1988 (although the composer revised it three years later). It was Pärt’s first substantial vocal work to use a language other than Latin. The texts, each beginning with the exclamation ‘O’ (and hence sometimes referred to as the ‘O-Antiphons’) would liturgically have been sung as antiphons to the Magnificat on the seven evenings preceding Christmas Eve. Sung as a continuous sequence as directed by the composer, these antiphons demonstrate the composer’s ability to deliver intense, direct, sometimes sensual emotion with the simplest of materials. Nørgård is one of the most original artists in the cultural life of Denmark. His work and efforts as composer, teacher, and theorist through almost half a century has had an enormous significance to the development of contemporary Danish art music. Nørgård has written works in all categories, for amateurs as well as for professionals: from large-scale operas to modest hymns, from simple movements to imposing edifices. This setting of words from the Mass was composed for the Copenhagen Boys Choir (now the Copenhagen Royal Chapel Choir) in 1982. Each successive movement is a variation, or a distillation, of material from the previous movements, as the text itself gradually shortens. As always with Nørgård, he manages to find an entirely new choral texture, not only from other composers, but also from his other choral works (some of which the Elysian Singers have had the privilege of working with the composer himself). This text is from The Golden Grove, or, A Manuall of Daily Prayers and Letanies (1655) by Jeremy Taylor. He described the contents as ‘Hymns Celebrating the Mysteries and chief Festivals of the Year, according to the manner of the Ancient Church: fitted to the fancy and devotion of the younger and pious persons. 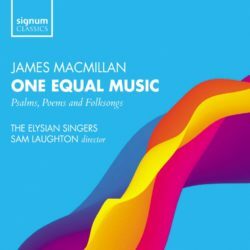 Apt for memory, and to be joyned to their other Prayers.’ James MacMillan, arguably Britain’s most impressive contemporary composer of choral music, set the text for Gonville and Caius College, Cambridge in 1997. Tarik O’Regan is one of the most exciting composers (particularly of choral music) to emerge in recent years and has already developed an international profile at the astonishingly young age of 25. He is currently the holder of the Fulbright Chester Schirmer Fellowship in Music Composition at Columbia University in New York City. 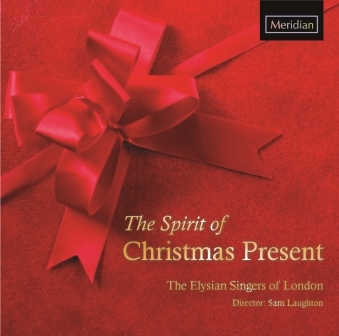 This eight-part motet was composed in January 2000 for Edward Higginbottom and the Chapel Choir of New College, Oxford, and was joint winner of the New College, Oxford Millennium Competition. The text is taken from the final words of Book 1 of the Confessions of St Augustine of Hippo (354-390). This setting for choir and organ of a text in praise of the Heavenly City by Hildebert of Lavardin (1056-1133) was commissioned by the St Albans International Organ Festival 1983. It falls into three large sections, the outer two grouped in loose symmetrical design around a central section in which tenor and bass soloists invoke the urbs caelestis aand are then amplified by the full choir. On either side of this, the many wondrous attributes of the city are enumerated in a flowing, triple-time melody, sung at first by the sopranos and latterly by the whole choir in harmony. At either extreme, the words ‘Sion’ and ‘Alleluia’ are elevated on a bubble of organ figuration and choral glissando; and at the very end, ‘Alleluia’ disappears completely into the ether, leaving behind a single footprint, a lone C major chord. John Casken has been since 1992 Professor of Music at the University of Manchester. One of ‘Three Choral Pieces’ each composed for a different choir, this unaccompanied setting of a poem by Sylvia Townsend Warner (1893-1978) was beautifully moulded as a gift to Durham Cathedral in 1993, the year of its 900th anniversary. Jonathan Harvey has written extensively for voices, and much of his choral music displays a strong affinity with the English Cathedral tradition, in both spiritual and musical terms of reference. This setting of a selection of verses from Psalm 46 was commissioned by the University of Sussex to celebrate the University’s Silver Jubilee in 1986, and was first performed in Chichester Cathedral. The resources are simple and the symbolism clear: lively, diatonic two-part canons (the first of which recalls the Lutheran chorale Ein feste Burg) are repeatedly quelled by a slow, chordal refrain ‘Be still, and know that I am God’. Górecki’s musical journey has many parallels with that of Arvo Pärt, whose music opened this programme. Born just two years earlier, in Poland, Górecki’s early scores were characterised by monumental gesture, cacophony and note-clusters, earning the composer the reputation as one of the most avant-garde composers of his time. Together with Penderecki, Serocki, and others he established a pattern for new music: the more dissonance the better, the harsher the sounds, the better. However during the 1970s, Górecki worked to achieve a direct link between the emotional and spiritual content of texts, both sacred and traditional, and his musical architecture. He sought inspiration in early Polish music: a 13th-century conductus, a 16th-century polyphonic song… . The focus on vocal music throughout this period led quite naturally to an emphasis on melody, with a resulting simplification of the harmonic and textural elements. This gradual progress away from dissonance towards consonance, away from aggressive, dramatic, intense music, towards a more mellow style is typified in this astonishingly simple but effective setting of the single word ‘Amen’, composed in 1975.